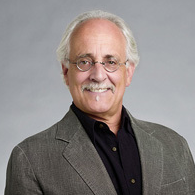 Steve Pollock, who joined the Auerbach Pollock Friedlander San Francisco office in 1985 and was named vice president in 1993, has been responsible for the planning, programming, design, and management of hundreds of national and international projects during his 30-year tenure at the firm. "When Steve joined our firm, he brought a wealth of technical theatre experience with him, including 15 years in production management, tech direction, and design for both academic and regional theatre, touring, stock, and industrials," said founder Len Auerbach. "I think I speak for all of us at Auerbach Pollock Friedlander when I say that we continue to learn from him, especially given his expertise in the planning and programming processes. He is a wonderful design leader and mentor to all of our staff." Pollock's projects include the new Taylor Centre for the Performing Arts at Mount Royal University in Calgary; the BYU-Idaho Center Auditorium and HDTV Broadcast Center in Rexburg, ID; the U.S. Capitol Visitor Center in Washington, DC; the Wagner No‘l Performing Arts Center at the University of Texas Permian Basin; and The Pearl Concert Theatre at the Palms Casino Resort in Las Vegas. He is a member of the American Society of Theatre Consultants, United States Institute for Theatre Technology, and United Scenic Artists Local #829.